ERLANGER, Ky. -- DHL Express will add more than 400 new jobs at its global distribution hub in Northern Kentucky next year, boosting total employment to more than 4,600. “This is the heartbeat of the Americas for us and we plan to continue to grow,” said Mike Parra, CEO of the DHL subsidiary with 23,000 employees in the U.S., Canada and South America. 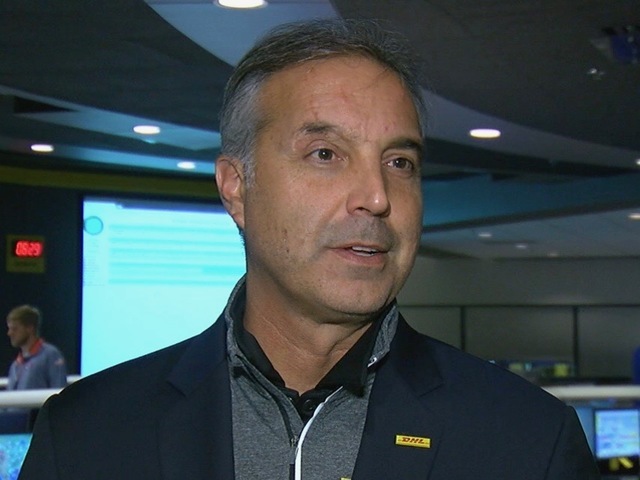 In an exclusive interview with WCPO, Parra said DHL will invest up to $20 million in new buildings and equipment in 2019 at the Cincinnati/Northern Kentucky International Airport. 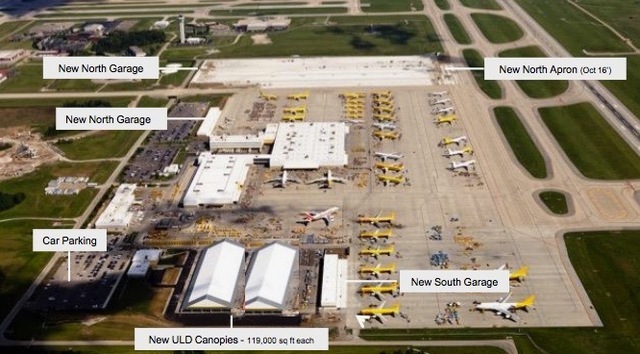 DHL has already invested $339 million since 2009 in its 194-acre site that handles 96 daily flights and an average of 241,000 packages nightly. “It’s a great location for us,” Parra said. It’s working pretty well for the location, too. 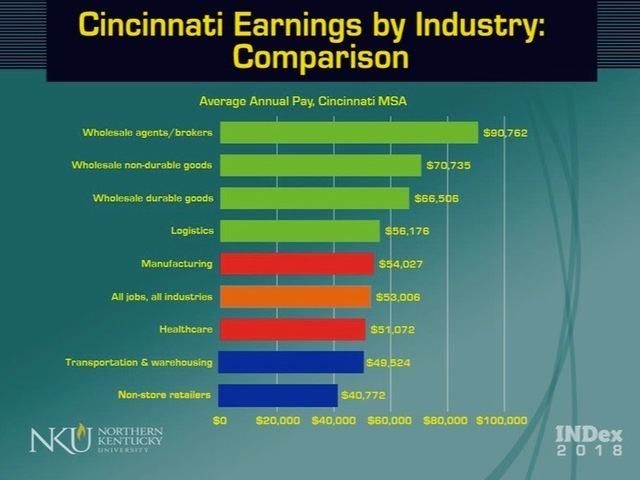 New research by Northern Kentucky University’s Center for Economic Development Analysis and Education shows the distribution and e-commerce cluster now accounts for 11 percent of Greater Cincinnati’s total employment and 25 percent of the region’s job growth. NKU Economist Janet Harrah said the sector includes higher-paying jobs than most people think. A full-time job that pays $15 an hour provides an annual income of $30,000, certainly not enough to build wealth in this economy. But Harrah argues that’s only part of the equation. Cincinnati is a good place to start that journey because it has faster job growth in distribution and e-commerce sector than Chicago, Columbus and Memphis. But the industry’s impact on the regional economy goes beyond job growth, Harrah said. It helps local manufacturers connect to global markets, selling their finished goods in new territories and buying cheaper materials needed for their supply chain. It also provided some much needed revenue for the airport after Delta Air Lines downsized its Cincinnati hub. That allowed airport officials to offer better deals to replace Delta flights with new destinations from lower cost carriers. “It has been a life saver for the airport,” Harrah said. It has also been a good source of construction contracts for local and national firms. DHL alone has added five new buildings since 2016, including a pair of massive canopies that look like circus tents and keep cargo shipments from being exposed to the weather as wait to be sorted and hauled away for delivery. DHL’s growth is driven by the inexorable shift to online buying, a trend that Parra thinks will outlast trade tensions and economic ebbs and flows. Harrah said the sector is facing labor shortages in four key areas: Warehouse workers, truck drivers, sales reps with technical knowledge and logistics professionals, including IT specialists and engineers who keep distribution facilities running smoothly and use automation to reduce cost. At DHL, Parra said the most acute shortage is at the low end of the company’s pay scale: those $15-an-hour jobs loading and unloading packages. To offset the shortage, DHL offers tuition assistance and other benefits to part timers. In addition, Parra said the company offers ample opportunity for upward mobility. He started as a station manager 21 years ago and became CEO in 2015.